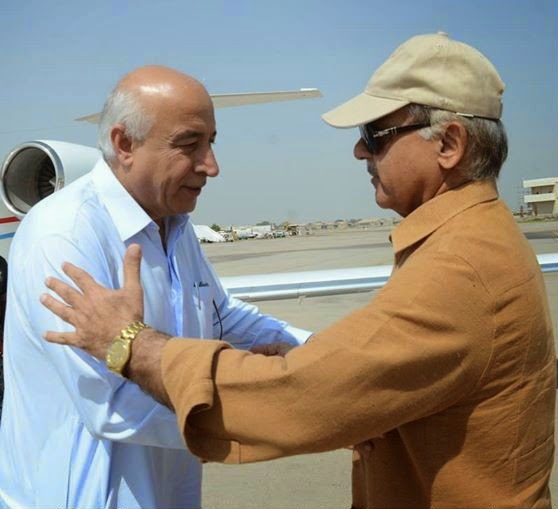 Dr. Abdul Malik Baloch, Chief Minister (CM) of Balochistan visited flood hit areas in Multan on 17th September. He was greeted by his counterpart in Punjab, Shehbaz Sharif. At the occasion Dr. Malik gave a cheque of Rs. 100 million and 3 truckloads as aid for the flood victims of Punjab. Helping anyone at the time of crisis is a noble thing to do but in this case it reflects double standards and apathy of CM Balochistan towards his own people. How it’s a case of double standards? Let’s see what happened in Awaran last year. On 24th September 2013, a devastating earthquake flattened Awaran district in Balochistan. The magnitude of earthquake was recorded 7.7 on Richter scale and 90% of the Awaran district was completely destroyed. There is no exact figure available about the causalities but according to modest estimates, 300-500 people died and hundreds of thousands were rendered homeless. A year has been passed since that devastating earthquake and people of Awaran are still waiting for the financial assistance promised by Dr. Malik. Dr. Malik had promised to pay annually Rs. 80,000 per family in Awaran, for three years, so that the victims can rebuilt their hut type houses. The amount donated to Punjab flood victims could have been used to pay house building allowances in one installment rather than three. Now, people of Awaran have to wait for 3 long years to rebuild their homes. This is a clear case of double standards where CM is the one to be blamed. He couldn’t help his own people and he is all prepared to help the flood victims in Punjab. There is no harm in helping Punjab flood victims if there was no such urgency at home. In the budget passed by Balochistan government for fiscal year 2014-15, there was no allocation for earthquake victims. Rs. 200 million was allocated for Awaran district only and that were for reconstruction of the schools. According to sources, governments of Oman and Turkey had paid financial aid for the Earthquake victims of Awaran. However that aid has no reached the people of Awaran in any way. It would have been great if Dr. Malik had used the 100 Million for Awaran Earthquake victims rather than Punjab flood victims. Government of Punjab and Federal government have sufficient resources to help those suffering in Punjab. However, the people of Awaran are not that much lucky and there is no one to help them if the CM of their own province is indifferent to their sufferings. Here, a question arises that why Dr. Malik committed this double standard? It’s simple; Dr. Malik is CM because of blessings of Nawaz Sharif and PML-N. By donating some money to Punjab, Dr. Malik did nothing but pleased his benefactor at the detriment of people of Awaran. A lot has been written about the failures of Dr. Malik as a CM but this double standard must be heartbreaking for even his diehard supporters. The destiny of people of Balochistan can never change if they are ruled by people like Dr. Malik. People, who forget the sufferings of their own people and worry more about their grip on power. Dr. Malik is not even a genuine representative of people of Balochistan after revelations of irrefutable evidence relating to rigging in his constituency. In such circumstances if he has to remain in power than he must please his bosses. Dr. Malik is doing the job of pleasing them in the form of appointing Arsalan Iftikhar as Vice-Chairman of Balochistan Board of investment and by donating hefty amounts to Punjab. Long story short, the people of Balochistan will continue to suffer as long as people like Dr. Malik continue to be their Chief Minster. The reason is that He derives his power not from people of the province but from the ruling elite of Pakistan based in Lahore.